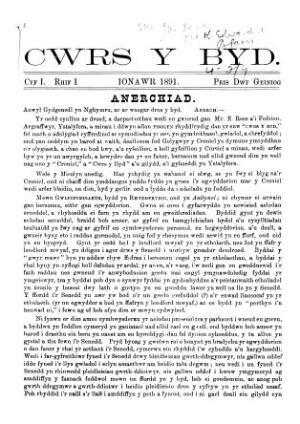 A monthly Welsh language radical and socialist periodical that circulated mainly in the mining communities of Glamorganshire and East Carmarthenshire. The periodical's main contents were articles on politics, social issues and religion, alongside poetry. The Congregationalist minister and land reformer Evan Pan Jones (1834-1922) was its founder and editor, with John Owen Williams (Pedrog, 1853-1932) serving as the periodical's poetry editor until December 1894, followed by David Price (Ap Ionawr, 1856-1911).